But the happiness that grandparenthood is bringing me can’t help but spill over – fairly regularly. One very interesting point about getting older is that you can see more clearly the crucial steps in your life and go straight to what is essential. Thirty years ago, when I became a mother, I realized how important it was to me: it truly changed my life, it greatly broadened my horizon, it made me grow in a most wonderful and unexpected manner. Although you can hear about these huge development moments from other people, and you can read all the books you want, once you actually go through them, it makes a profound impact on us. I loved being a mother! Looking back on my life, I can see a sort of reversed domino effect and if being a grandmother and being a mother are steps 3 and 2, the very first critical step was falling in love and getting married. This was the first experience of caring about someone else more than myself, this was the true beginning of inner growth. It’s all about love! And it’s all linked together. 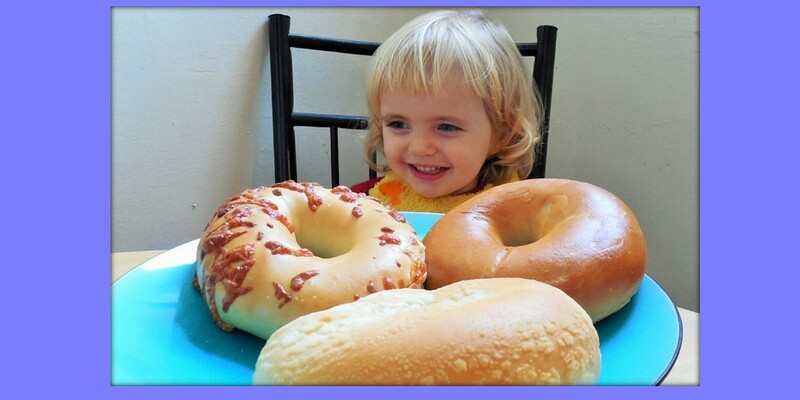 And as I’m growing older – and weaker – I certainly appreciate some things more than others, and I want to cling to what is essential just like Marcelle clung to our bagels the other day. All I can say is Vive la famille et vive les enfants!